With all the ghosts and supernatural creatures around (Including a real hunk of a wolf shifter! Meow!) it's a good thing the Riddle women are tougher than they look. Now, if only they could handle their new witch powers as well as they've mastered their sarcastic wit! 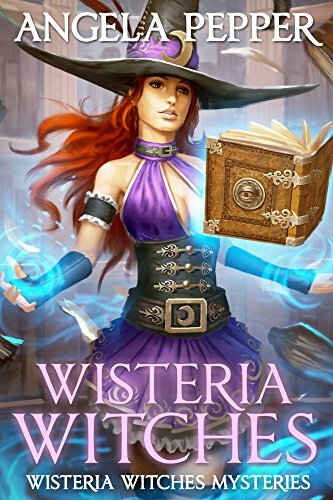 WISTERIA WITCHES is a complete, full-length novel. Fans of contemporary mystery series (Sookie Stackhouse, Stephanie Plum), and urban fantasy with humor will love this heart-warming, thrill-giving, twist-packed series. Look for the sequel, WICKED WISTERIA (Wisteria Witches Book 2), available now, and WISTERIA WONDERS, book 3. File under: paranormal romance, witch mystery, cozy murder mystery, romantic comedy, female detective, amateur sleuth, mystery series.